A silver bangle decorated with a crystal and special engraving "Reach for the stars". 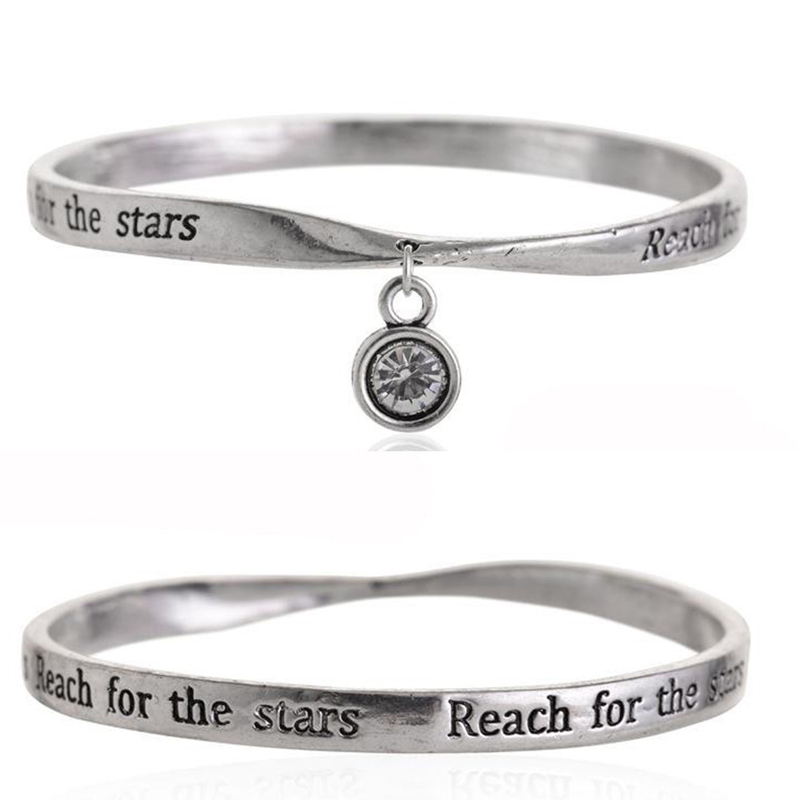 The plain silver bangle is engraved with 'Reach for the stars' around the bangle. The front of the bangle is decorated with a silver crystal which dangles from the bangle.